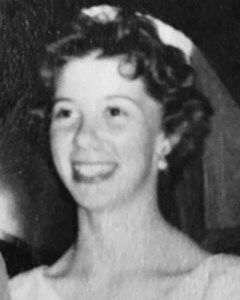 Sandra Rae Baer, 78, Paxico, passed away Sunday, February 3, 2019 at her home. Sandra was born August 19, 1940 in Coffeyville, the daughter of George F. and Melba C. (Tucker) Dodson. She graduated from Topeka High School in 1958 and attended Washburn University. She was employed as a Paraprofessional with the Seaman School District, Mission Valley School District, Mill Creek Valley, and the Capper Foundation, retiring in 2000. She attended Trinity Lutheran Church in McFarland, sang with the Sweet Adaline’s in Wamego and also sang with a number of quartets, including the Prairie Rose Quartet. Sandra married Eugene F. Baer on September 26, 1958 in Topeka. He survives. Other survivors include daughter, Gina (Eddy) Baer Witt, Topeka; grandchildren, Keith, Hunter & Benjamin Witt; and sisters, Janice Roberts, Marsha Green, Dianne Dahl. She was preceded in death by her parents; and sisters, Melba Jo Dodds, Patricia Pitts; and brother, George Dodson, Jr.
Funeral services will be held at 1:00 p.m. on Monday, February 11, 2019 at Fellowship Bible Church. Burial will follow at Topeka Cemetery. The family will receive friends one hour prior to the service at the church. Memorial contributions may be made to Midland Care, 200 SW Frazier Circle, Topeka, KS 66606. Dove Southwest Chapel is assisting with arrangements. Add your memories to the guest book of Sandra Baer. Sandra, memories of you are with us forever. My memories include you singing with the Wamego Chapter of Sweet Adelines, the crafts you made and shared in your craft house, and the goodies you shared from your garden, especially the rhubarb. I feel confident you are singing in the heavenly choir today. Dear Gene, I was so sorry to read that you lost your wife. You will be in my thoughts as you rebuild your life going forward. It has to be very hard. I wish I'd known your Mom, Gina. She looks and sounds so sweet. I suspect you are a wonderful reflection of her! Our love and prayers for you, Eddie and the boys. Keeping all the family in my thoughts and prayers. I miss your silly faces and your laugh, mom. You loved to laugh and make others laugh. You were kind, creative, joyful, talented and accepting of others, yet a graceful and elegant leader. You will be missed by so many. See you at the feet of Jesus, Mama.